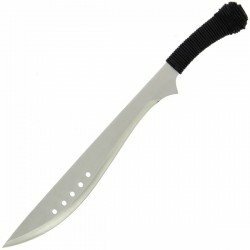 High quality machetes for a low price. 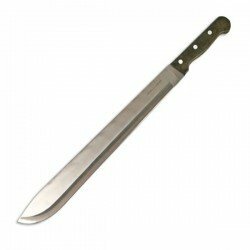 A 9.75" blade machete with wooden handle. 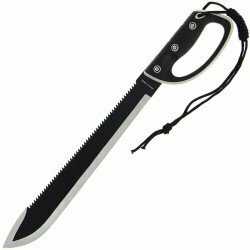 Complete with a nylon sheath.Blade Length: 9.75" Total Length: 15.75"..
A 18" blade machete with wooden handle. 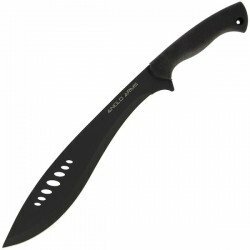 Complete with a nylon sheath.Blade Length: 18" Total Length: 23.75"..
25.75 garden machete with nylon case. 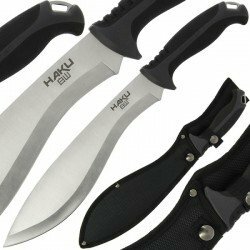 Weight: 756g 26.67oz Blade Length: 455mm 17.91 inches Overall Length: 657mm 25.87 inches ..
A two tone machete with rubberised hand grip and 'HAKU' branding. 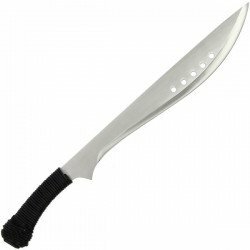 Weight: 382g 13.4oz Blade Length: 265mm 10.5 inches Overall Length: 400mm 16 inches .. 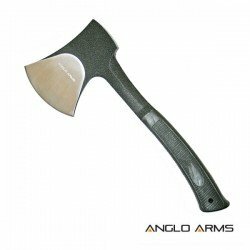 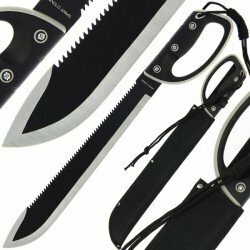 JUNGLE MACHETEBlade The Anglo Arms Jungle machete has the ability to turn heads with its super aggressive 290mm saw back. 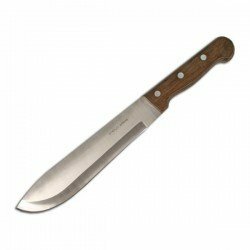 Constructed from 440-grade stainless steel with a full tang and a razor sharp blade that has an impressive 370mm cutting edge and an 18mm v-grind depth. 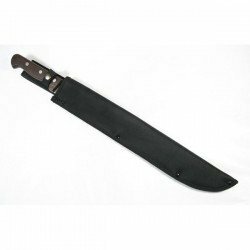 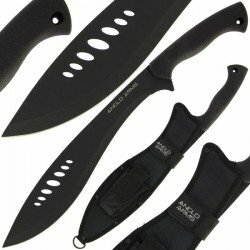 At just over 3mm..
A large, heavyweight matt black machete with rubberised hand grip. 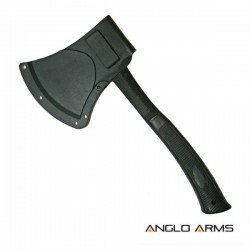 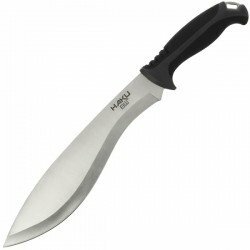 Weight: 587g 20.70oz Blade Length: 335mm 13 inches Overall Length: 500mm 19.50 inches..